This month marks the two-year anniversary of the first national conference on citizen science, held in Portland, Oregon in August, 2012. Nonfiction writer and citizen scientist Sharman Apt Russell, whose book, Diary of a Citizen Scientist: Chasing Tiger Beetles and Other New Ways of Engaging the World comes out this fall, was in attendance. Russell, a native of New Mexico, joins us on the blog to reflect on her time here in Oregon, and on the lessons she carried with her back home. In August, 2012, I attended the first national conference on citizen science in Portland, Oregon. Portland. That Harry Potter city with rose gardens, light rail, independent bookstores, ten thousand restaurants, and all the secret signs of wizards in training. Over three hundred professionals in the field of citizen science had gathered together at the Conference Center on Martin Luther King, Jr. Boulevard to discuss the newest trends and best practices—to forge a vision of how the ongoing revolution and renaissance of citizen science could get even better. Among the policy makers and directors of programs and ambitious graduate students, I may have been the only actual citizen scientist there—something of a groupie come to admire the rock stars of this world. There was the creator of Galaxy Zoo, which allows amateurs help catalog the 200 billion galaxies in the universe! And over there, the supremely successful Fold-it program, where video-gamers synthesize protein molecules! I even spotted the genius behind Cornell Lab of Ornithology, with its over 200,000 participants out watching birds—their data used in an impressive number of scientific papers and studies! In two days of speeches, free coffee and pastry, what impressed me most, however, was the growing role of citizen science in environmental activism. Ben Duncan, a policy analyst at Oregon’s Multnomah County Health Department, talked about bucket brigades. Community volunteers measure air quality using a plastic bucket with a simple pump system and send these air samples to labs where they are tested for gases and sulfur compounds. The Louisiana Bucket Brigade, one of many such projects around the world, has a ten-year record of documenting toxic emissions in neighborhoods near oil refineries and chemical plants. Their team of citizen scientists begin complaints to officials with: “I know you say that billowing black smoke outside my window is harmless, but I’m getting a high reading of benzene that violates state standards.” Increasingly, the point is not how citizens can serve science—but the other way around. Since the conference, citizen science has continued to explode (in the nicest possible way). In Oregon, you can join state programs like Coastal Observation and Seabird Survey, Willamette Riverkeepers, CoastWatch, Oregon Marine Mammal Stranding Network, and Blue Water Task Force. National programs co-sponsored with Oregon State University include Plankton Portal (identify plankton from photos posted online) and Community Collaborative Rain and Snow Network (report precipitation data). 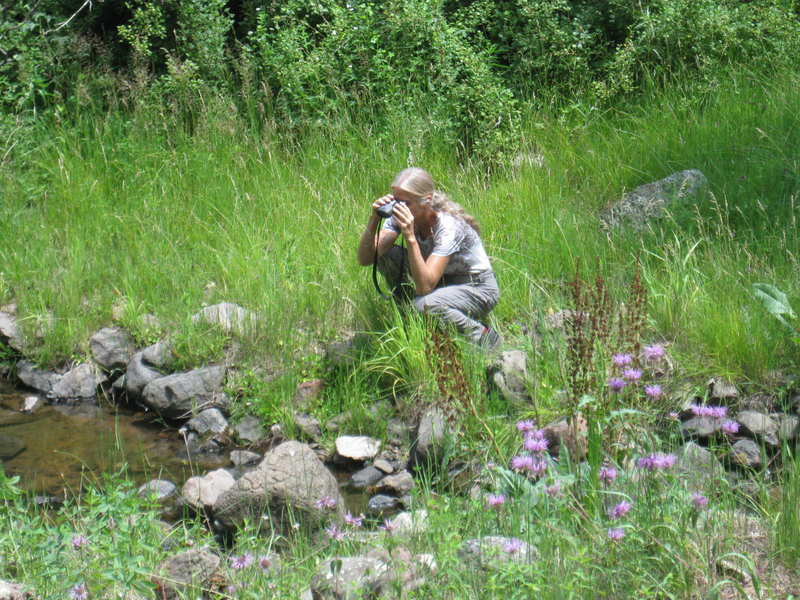 Researchers at OSU are even now building a new, larger network of trained citizen scientists to help monitor the environment—go here for more information. The Xerces Society, based in Portland, has citizen science programs in which you can helpfully chase after butterflies, dragonflies, ladybugs--and mussels. In Project Budburst and Nature’s Notebook, you can track climate change by monitoring plants and animals in your backyard. After the excitement of the convention, and more than a few good restaurants later, I went back to my home in southwestern New Mexico to continue my own citizen science research on the Western red-bellied tiger beetle. You can imagine me there now, walking the banks of the Gila River, collecting net in hand. Catching tiger beetles typically requires the stalking movements of a great blue heron—or Tai Chi master. Sometimes it is necessary to crouch, inching forward so as to not frighten the beetle, angling the body so as to not let one’s shadow signal one’s approach. Think pure thoughts. Think flow. And be prepared to slam the net down before the high-energy Type-A tiger beetle suddenly flies off in pursuit of prey or water or some private exultation. (Click the link for a demonstration!) I have found my own exultations in my pursuit of citizen science, knowing that I am not alone in my efforts, but part of something much larger. 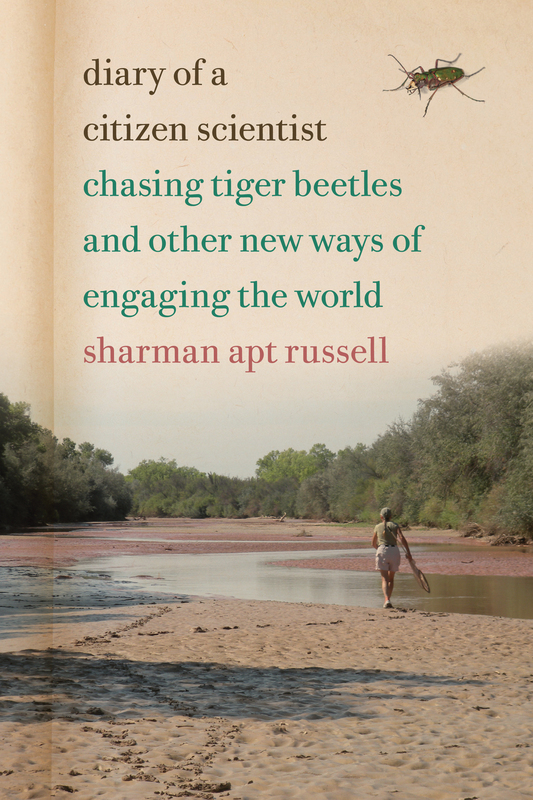 Diary of a Citizen Scientist is now available for pre-order here, and will be in print this October. Sharman Apt Russell lives in the Gila Valley of southwestern New Mexico. As well as Diary of a Citizen Scientist, she is also the author of Standing in the Light: My Life as a Pantheist, Hunger: An Unnatural History, An Obsession with Butterflies, Anatomy of a Rose, and other books. Her work has been translated into Spanish, German, Swedish, Portuguese, Italian, Turkish, Korean, Chinese, and Russian. More information on her books can be found at www.sharmanaptrussell.com. 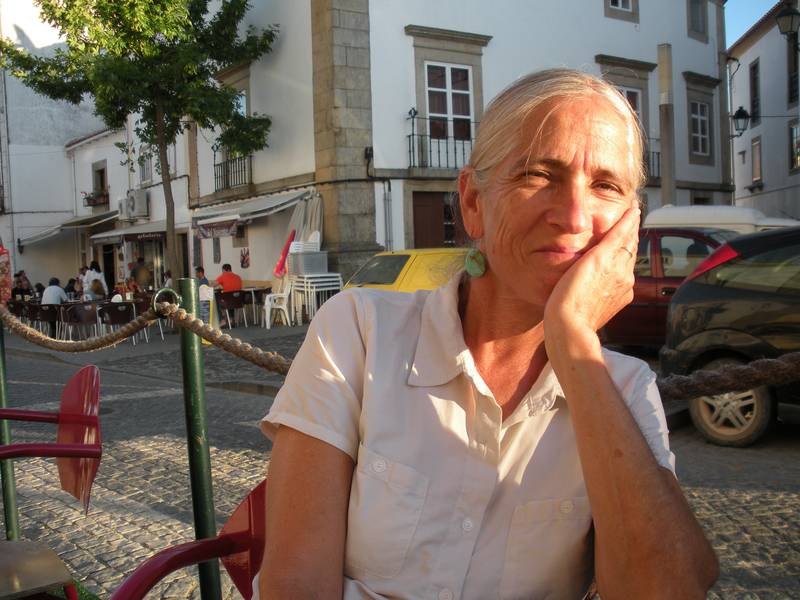 She welcomes emails and news about your own thoughts and experiences in citizen science.